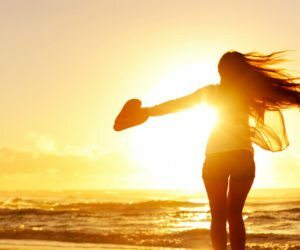 If you’re struggling with an addiction to alcohol, Avalon Beach programs for alcohol treatment through WhiteSands Treatment can help you reclaim your life and restore your happiness and sense of wellbeing. It’s not easy recovering from an alcohol addiction, but then again, neither is being addicted to alcohol. Addiction impacts your entire life. It can damage your relationships, bring financial ruin, cause serious legal problems, and wreck your physical and mental health and sense of wellbeing. Avalon Beach programs for alcohol treatment can help you recover from an addiction, even if you don’t feel quite ready to stop drinking. Addiction is characterized by finding you’re unable to stop drinking even though it’s causing problems in your life. It changes the functions of the memory, reward, and pleasure centers of the brain and leads to intense cravings for alcohol, which are produced by the same powerful brain mechanisms that lead you to eat food and procreate. The National Institute on Drug Abuse stresses that willpower and good intentions are rarely enough to end an addiction, and professional help is almost always needed. That’s because addiction changes the way you think and behave, and it disconnects you from the real you. Restoring healthy brain function and re-learning healthy thought and behavior patterns is a major focus of the best alcohol recovery programs. WhiteSands Treatment uses research-based, proven therapies to help you retrain your brain and restore good mental health. Avalon Beach programs for alcohol treatment through WhiteSands Treatment offer medical detox for those who have developed a dependence on alcohol, which isn’t the same as alcohol addiction. Dependence occurs as your brain changes the way it functions chemically in order to compensate for the presence of alcohol. This leads to tolerance, which means you need to drink more and more to get the same effects. At some point, brain function may shift so that your brain now operates more comfortably when alcohol is present than when it’s not. Then, when you stop drinking, normal brain function rebounds and causes the onset of withdrawal symptoms. Medical detox through Avalon Beach treatment for drug and alcohol addiction involves administering medications as needed to reduce the intensity of withdrawal. Alcohol withdrawal can be dangerous or even fatal. Medical detox is essential for reducing the risk of seizures and dangerous shifts in blood pressure that may occur during detox. It’s also crucial for ensuring your comfort and wellbeing during the withdrawal period. Detox-only takes care of the physical dependence on alcohol and does nothing to treat the addiction, which is far more complex. Avalon Beach treatment for drug and alcohol addiction addresses the addiction and the issues that underlie it. The best alcohol recovery programs take a holistic approach to treatment that addresses physical, mental, and spiritual issues with equal attention. A holistic program will utilize a variety of both traditional and complementary therapies to address all of your needs and issues for whole-person healing. Address the issues that underlie your addiction, which may include chronic stress, a history of trauma, or a mental illness like anxiety or depression. Develop the skills and strategies you need to cope with stress, cravings, and other powerful triggers. Identify self-destructive thought and behavior patterns and develop healthier ways of thinking and behaving. Identify your inherent strengths and values and set goals to help you find purpose and meaning in life without alcohol. Learn to have relaxed, have fun, and enjoy yourself without the need for alcohol. Repair relationships through better social and communication skills. Avalon Beach programs for alcohol treatment through WhiteSands Treatment help you do more than quit drinking. We help you find joy, purpose, and meaning in life and repair the damage your addiction has done to your life. Call WhiteSands Treatment today at (877)-855-3470 and let us help you achieve a higher quality of life and a greater sense of well-being as you beat your addiction for the long-term.